A little over two years ago, Miguel Coves and Dorothea Darden of Coves-Darden Farm imported over 60 horses from Spain to establish their base of operations in the United States. 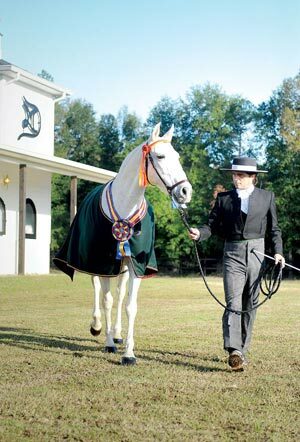 Coves-Darden Farm, on Route 4 some 20 minutes east of Aiken, is a breeding and training facility for Andalusian horses, known as P.R.E. (Pura Raza Española) horses in Spanish speaking countries. Today it is home to more than 80 horses coming from some of the top bloodlines in Spain. It is also on its way to becoming an important center for the Spanish breed in this country, creating new connections between breeders in the U.S. and those in Spain, and helping to establish a show circuit and national championships in the United States that are fully approved by the Asociación Nacional de Criadores de Caballos Españolos (ANCCE), the official Spanish registry for the purebred horse. One new project that Miguel and Dorothea have been working on is a series of shows in the United States for P.R.E. horses. In collaboration with the ANCCE, they are organizing four shows in 2011. These shows form a recognized series called the Interstates P.R.E. of the United States, or I.S. P.R.E. USA. The I.S. P.RE. USA consists of three regional shows culminating in the national championships in November. The first of these shows will be held at Coves Darden Farm from March 4 through 6. It will include a full roster of conformation classes for fillies, colts, stallions and mares. There will also be a class for geldings and two "cobra" classes in which groups of three or five mares are presented together. The show also has "functionality tests" which are essentially dressage classes. Entries close on February 24. Judges and officials will be flying in from Spain to ensure that the horses are assessed according to authentic Spanish criteria. There will also be several prominent representatives from Spain on hand, including Javier Conde who is the current president of the ANCCE. Miguel Coves and Dorothea Darden are also planning to make the show a sort of mini festival of the Spanish horse, with the goal of introducing new people to the breed, and giving Americans a taste of Spanish equestrian culture. Future shows in the series will be held in Texas in June and in California in September. The finals will be in Texas in November. The I.S.P.R.E. 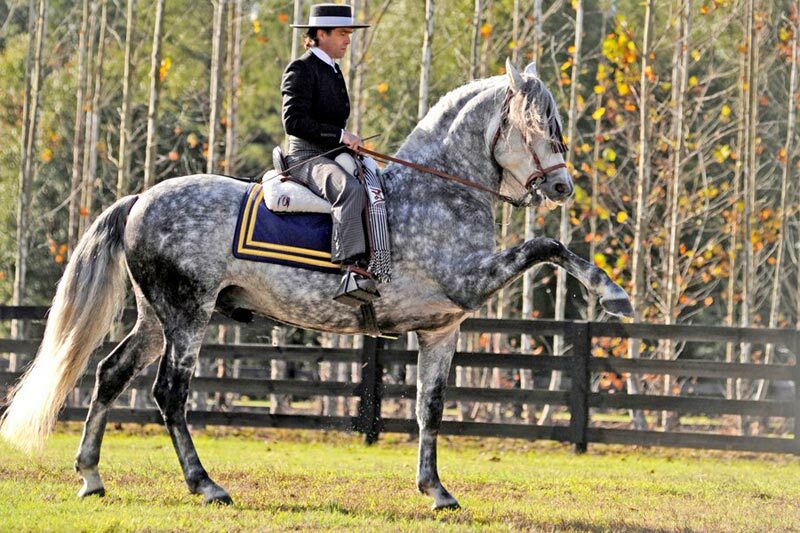 USA represents a major step forward in the recognition of the Spanish horse in America. The program was unveiled last November in Seville at the SICAB (Salon Internacional de Caballo), which is the annual international show and trade show for P.R.E. horses and is the largest gathering of Spanish horses in the world. "I hope that all the people in this country who have Spanish horses will be able to compete in the shows," says Miguel. "To breed and to raise horses is hard work. When you have a good horse, and you take him to a conformation show and win awards, then the value of that horse and of his sons and daughters goes up. It is important for the fame of the horse, as well as for the breeder. Every breeder should be proud of what he has in the barn." Although the creation of the ISPRE USA is a major accomplishment, Miguel and Dorothea have even bigger plans for the future of the Spanish horse in this country. They are working on establishing a tribunal reproductores calificados (TRC) in America. At a TRC, registered Spanish horses are evaluated on the basis of their conformation, movement, temperament and breeding soundness. The best horses may be approved as "calificado" or "elite." Currently, the only place for a horse to be examined and awarded these designations is in Spain. If fully sanctioned TRCs come to the United States, it will help American breeders uphold the highest standards of the P.R.E., improving the breed in America and helping to popularize the Spanish horse around the country. 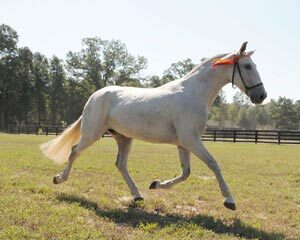 The Coves-Darden initiatives could not come at a better time for Spanish horses. Although there are still fewer than 5,000 P.R.E. horses in this country, interest in the breed is growing. This growth was greatly accelerated recently at the World Equestrian Games in Kentucky, where Juan Muñoz Diaz and the P.R.E. horse Fuego XII were the runaway crowd favorites in the dressage competitions. 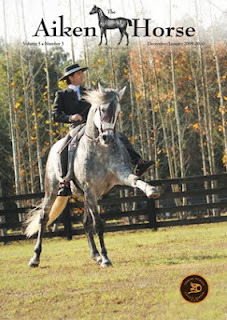 Fuego XII, a 13-year-old grey stallion, brought many in the audience to tears with his expressive and joyful performance. Many people who watched him were convinced that their next horse should be a P.R.E. Now that the ANCCE is establishing stronger ties in the United States, Spanish horses of the highest quality may soon be more readily available in this country. For Dorothea Darden and Miguel Coves, that is a very good thing. It will mean that their mission to promote and popularize the Spanish horse in America is a success.